Tokyo-based Port is preparing for the beta launch of Port Medical, a telemedicine platform allowing chronic patients to consult a doctor online. The company announced today that it has fundraised 900 million yen (about $7.9 million) from Eight Roads Ventures Japan (previously known as Fidelity Growth Partners Japan), Mitsubishi UFJ Capital, and Global Brain. Port has been serving businesses with employment consulting services through the leveraging of social media as well as offering several vertical media sites such as CareerPark (tips for career building) and Tabimo (travel tips). The company learned of many issues in the healthcare and medical sectors through Medicil, a health and beauty tips website launched back last November, and then launched the Port Medical platform to address these issues. The latest funds will be used to improve media content, strengthen technology capability, and launch new businesses. Port is expecting to attract 30 million readers for vertical media sites during 2016, expanding into other sectors beyond career building, travel, healthcare, and financial topics. 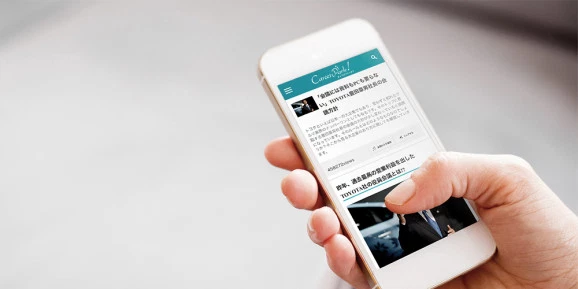 They are planning to develop a recommendation engine using natural language processing and artificial intelligence (AI) for their existing and new services. Regarding the Port Medical platform, the company claims it will be more focused on partnering with governments, hospitals, and other stakeholders in the medical industry.